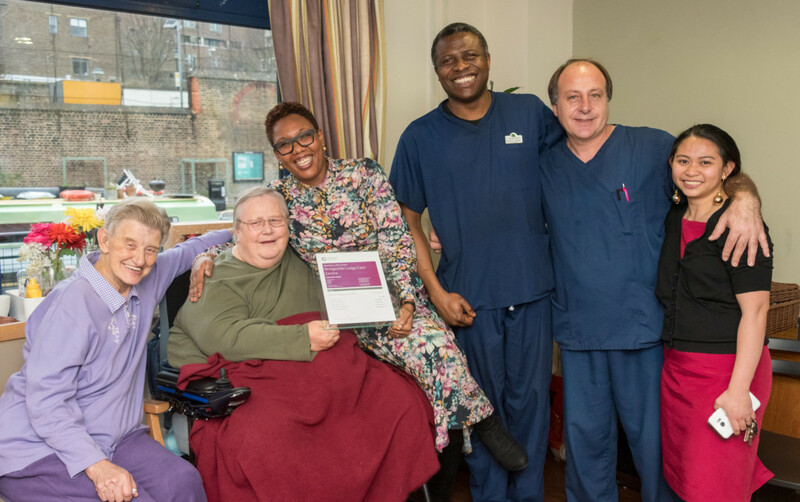 Bridgeside Lodge Care Centre in Islington is celebrating its second CQC Outstanding. The Forest Healthcare centre has further improved its service since its last top CQC rating in September 2015, increasing its number of Outstanding assessment areas from two to four. Chief Executive of Forest Healthcare Paul Musgrave said: “This is a superb result for the Bridgeside Lodge team, particularly our manager Fatma Makalo, who does an amazing job of leading a person-centred approach to the centre, where staff build meaningful relationships with the residents, always going the extra mile to deliver excellent service. Bridgeside Lodge provides long-term specialist nursing care for up to 64 adults, including the elderly and younger people with neurological conditions, including spinal injuries. 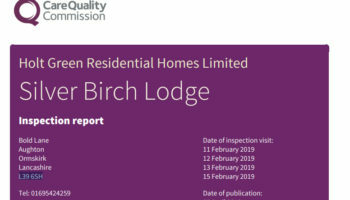 Debbie Ivanova, CQC’s Deputy Chief Inspector of Adult Social Care, said: “Bridgeside Lodge has been able to improve its service even further so that it is now rated Outstanding in four of the five CQC domains. The CQC praised the “progressive ideas and initiatives” designed to create a high quality of life for people who used the service. 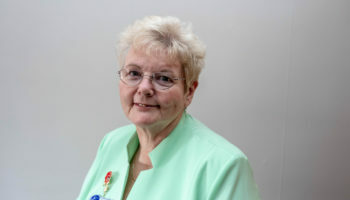 These include an instant tablet computer care planning and recording system, adopting the FISH philosophy, a technique promoting fun at work to make staff alert and active in the workplace, and the People Like Me initiative, which develops connections between carers and residents through shared interests. Forest Healthcare works in partnership with care home culture change consultancy Ladder To The Moon. Ladder To The Moon Managing Director Chris Gage told us: “I’m delighted that the strategic creative partnership between Ladder to the Moon and Forest Healthcare continues to deliver results. “We have been working on a number of initiatives with Bridgeside Lodge within a multiyear programme commissioned by Forest Healthcare’s CEO, ranging for coaching, to creative leadership development to culture change interventions, and founding membership of the Centre for Creativity and Innovation in Care.